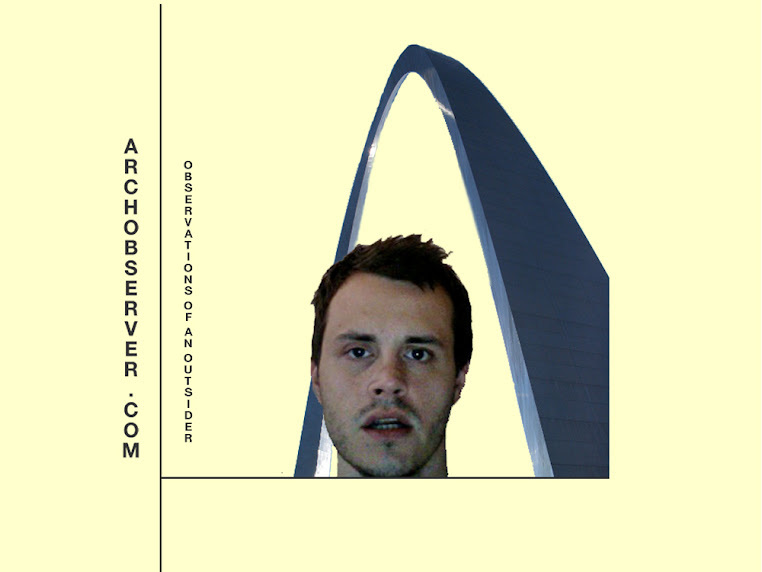 Arch Observer: Winter in St Louis Keeps Me Warm <-- See What I Did There? Not to be stalkerish (yes, it's a word now) but I think I saw you the other day coming out of Bubba Tea. You had a scowl on your face and looked quite intimidating, if that indeed, was you. Oh no! That probably was me! Maybe... My office door is right next to Bubba Tea. As far as a scowl, if it was this week my excuse is severely sore calves from training. It's been a bit tough to walk... If not, then there is no excuse. The good news is that I'm super nice! I just walk mean. I can attest to Jim "walkin' mean". Chicago winters are brutal. St. Louis winters are bearable. You do get conditioned to it though - I remember when I lived in Chicago & it hit 40 degrees in March... it felt so warm, I wore shorts and a t-shirt. You should try visiting Memphis during a "snow". I was there one time on New Year's and it snowed (literally) two inches. Everything shut down. Groceries stores were cleaned out of all the staples. My family wouldn't even leave the house to go out and celebrate New Year's. It was hysterical. this is why i'm moving to texas. 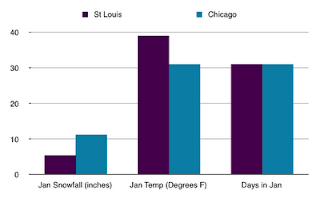 Two winters ago, seven inches of snow and ice dumped on St. Louis in early December. The city shut down, roads were nearly impossible, and no city trucks came to clear Tower Grove streets. But it also happened to be the celebration of Schlitzmas for us hapless liberal arts graduates. Despite the weather, we enjoyed much Schlitz, rounds of Stump in the yard, ate late night Wonder Fridge Burritos, and everyone passed out in sleeping bags on every square inch of the apartment. And then it melted in two day. WIN. I love the fact you made a graph...only you! You make a teacher proud Jim...still know how to make a bar graph!! !